Lolly Wolly Doodle Free Monogramming! This weekend only, Lolly Wolly Doodle is offering Free Monogramming with code: MONOME. Offer ends 7/5/15. *HOT* Insane Inflatable 5K Entry $47.20 (Reg. $86)! 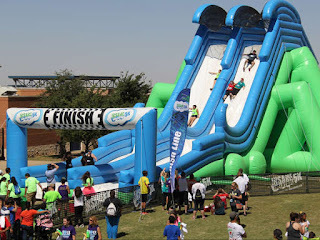 If you've been thinking about signing up for the Insane Inflatable 5K, then hurry over and grab this LivingSocial deal for 1 entry for only $47.20 (Reg. $86) with code: STARS20. Discount code valid thru July 5th. I have a feeling this might be a popular asked for item this Christmas. Right now, you can get the VTech Kidizoom Action Cam, Purple for only $59.00 Shipped (Retail $64.99). FREE Kraft Fire Up the Grill Cookbook! *This is a Sponsored post by Lunchbox. CLICK HERE to download the "Fire Up the Grill" cookbook today. 2015 TAX FREE WEEKEND DATES! 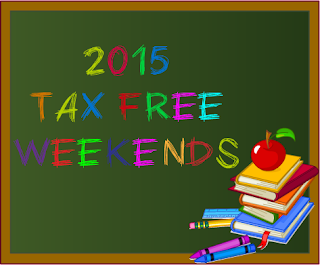 Mark your calendars for the 2015 Tax FREE Shopping holiday for the back to school season! Arkansas- 12:01 A.M. August 1st - 11:59 P.M.
Maryland- Sunday, August 9 - Saturday, August 15. Mississippi-12:01 a.m. Friday, July 31, 2015, and ends 12:00 midnight Saturday, August 1, 2015. Missouri- begins at 12:01 a.m. on Friday, Aug. 7, and runs through Sunday, Aug. 9. New Mexico- begins at 12:01 a.m. on August 7, 2015 and concludes on August 9, 2015 at midnight. Ohio- starts on Friday, August 7, 2015 at 12:01 a.m. and ends on Sunday, August 9, 2015 at 11:59 p.m.
Oklahoma- begins at 12:01 am on Friday, August 7, 2015 and ends at twelve midnight on Sunday, August 9, 2015. Now through July 5th, get the Dirt Devil Simpli-Stik Lightweight Corded Bagless Stick Vacuum for only $14.99 (Retail $29.99) with code: REDWHITEBLUE. There are packs for other grades HERE. *Prices can change any time. 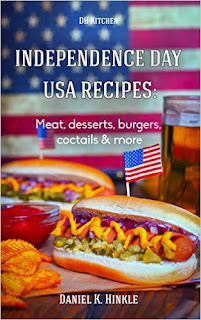 FREE 4th of July Recipes eBooks! Looking for a yummy treat to make this 4th of July? Download these FREE and cheap eBooks for some great ideas! The Children's Place Monster Sale - $3.99 & Under + Free Shipping! 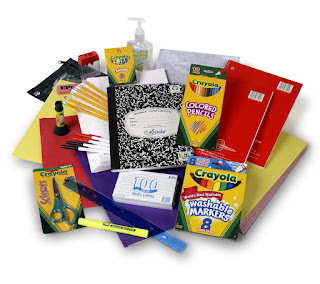 This is one of my favorite sales to start my Back to School Shopping! Right now at The Children's Place they are having a Monster 4th of July Sale! Online Clearance is $3.99 and Under! Get an Extra 20 Percent Off Using Your Savings Pass and Free Shipping on All Orders! Just use Web Code: ONLINE3. Disney Store: FREE Shipping, Sale up to 60% off & More! Yay! Now is a great time to order from the Disney Store because shipping is FREE!! Just use code FREESHIP at check out! You can save up to 60% off with their Twice Upon a Year Sale (great place to stock up on pj's and more). Also check out their Back to School sale. Perfect way to get that character back pack! Best Buy 4th of July Sale - Save on Laptops, Tablets & More! Shop the 4 Day Best Buy Sale and save on HDTVs, Laptops, Tablets and More. Plus, save up to 40% off major appliances. Kroger Free Friday Download July 3rd! Here is another great freebie from Kroger you won't want to miss. Today Only, sign into your Kroger Plus Card account and get the Free Friday Download for (1) Free Balance Bites, 1.48 oz. Limit 1 per household. Right now you can grab this CHI Professional 1″ Ceramic Hair Straightener for $69.99 Shipped (Retail $159.99). CHI's salon-quality flat iron gives professional and at-home stylists the ability to create frizz-free straight, flipped, or wavy styles. The versatility stems from the curved edges of the iron's 1" plates, which glide effortlessly through hair for a sleek, linear look or can be wound around the strands to create waves or curls. The plates are made of ion-emitting ceramic to help eliminate frizz and flyaways and give hair a glossy shine. To speed up morning routines, CHI incorporated advanced far infrared flash-heating, so the iron is up to temperature in about 6–10 seconds.